National Council of Churches in India: "We Embrace You Mother Earth and Sister Tree". Celebrating Creator's Oikos: Young Women Artist Painting Murals of Inclusive and Just Communities. As the young artists splashed their creative Warli art strokes on the walls in NCCI campus they sang traditional folk songs “ The flowers of spring are blooming ….We embrace you mother Earth and Sister Tree”. According to Ms Moumita Biswas – Executive Secretary of All India Council of Christian Women, the Women’s wing of NCCI, “ This endeavour provided us the opportunity to dialogue with artists and their teachers on how folk art can be used as a tool of advocacy to promote human rights of people of vulnerable communities and rights of women and children, and even promote harmonious relationships with mother earth. Art is an expression of our spirituality. 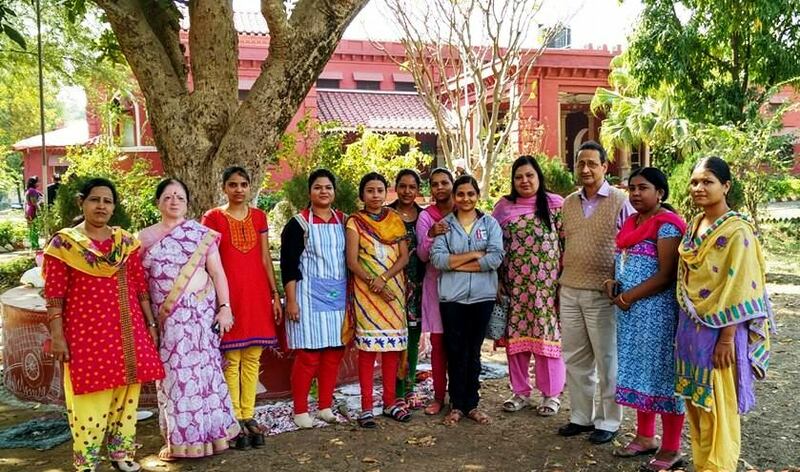 NCCI and AICCW also focuses on ecumenical and spiritual formation by nurturing artists and preserving the cultures and traditions of the spiritualities of indigenous people, dalits and women. 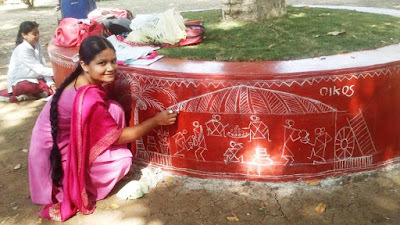 The art form, that was used by the women artists to paint murals in the NCCI campus, is known as Warli art. Warli art is beautiful folk art of Maharashtra state in India, traditionally created by tribal women mainly Malkhari, Koli, Kathodi, and Dhodi tribes . This art was first explored in the early seventies and the form then was named “ Warli art”. The Warli style of painting evolved from its mural form. 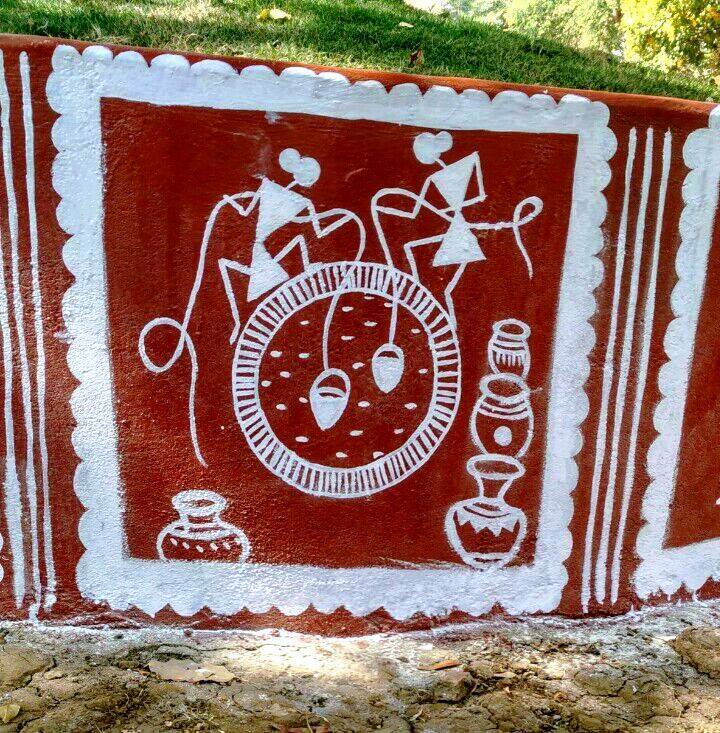 Even today in villages of Maharashtra it is a tradition to decorate the mud walls of the huts with Warli paintings made in rice paste. The most important aspect of the painting is that it does not depict mythological characters or images of deities, but depicts social life and how people live harmoniously with nature. In present context, Warli art is highly commercialized and used by textile and handicraft industries. Warli art is even used to decorate walls in five star hotels. Therefore there is the urgent need to interrogate this entire process of commercialization of folk art. Since this form of art work is not patented, it is being robbed from indigenous people and it is getting stripped off its spiritual, social, cultural and traditional elements, as lands of indigenous are being taken away and they are getting displaced and migrating. 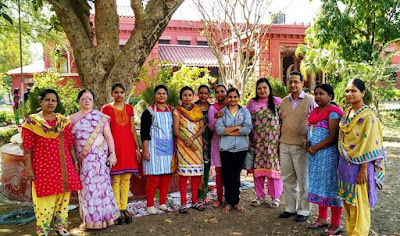 NCCI invites churches to nurture and promote artists, particularly the folk art of women, indigenous and dalit people and their spirituality towards building just communities and harmonious relationships with mother earth.